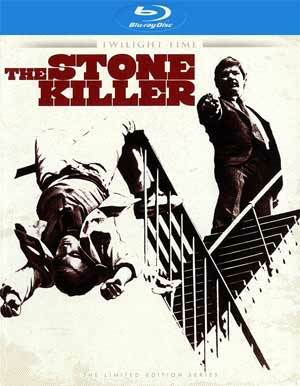 Although The Stone Killer is probably the lesser of Charles Bronson’s films, it’s still is a lot of fun and being obscure enough, doubtful very many have seen it, so with this Twilight Time release, hopefully it’ll get more play in the future. Plot Synopsis: Lou Torrey (CHARLES BRONSON), following the justified killing of a young man, has become a pariah in the media and public, so he decides to quit the NYPD force and move out west to become Lieutenant out there. But he can’t quite stay out of trouble. Or at least trouble tends to find him. When Torrey escorts a drunken hitman back to New York, the hitman is killed. Stumbling into a plot set in motion, the killings of mafia syndicate heads. 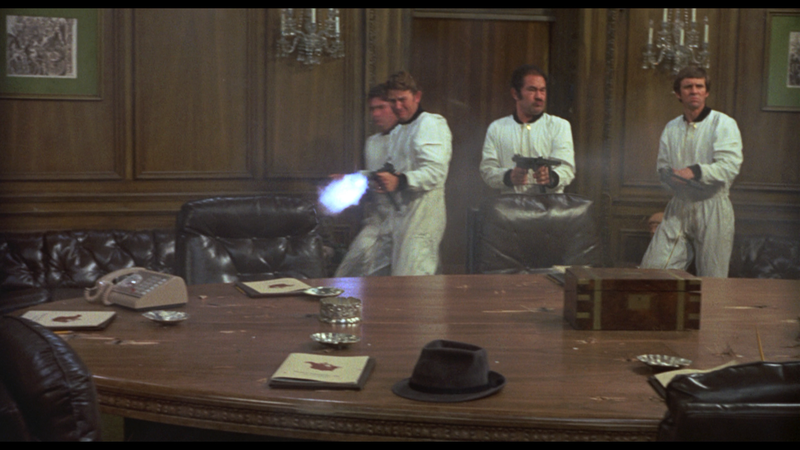 Quick Hit Review: I love Charles Bronson movies. Even the crappy ones (like Death Wish 3-5) but he has that everyman swagger that just works and 1973’s The Stone Killer is no different. 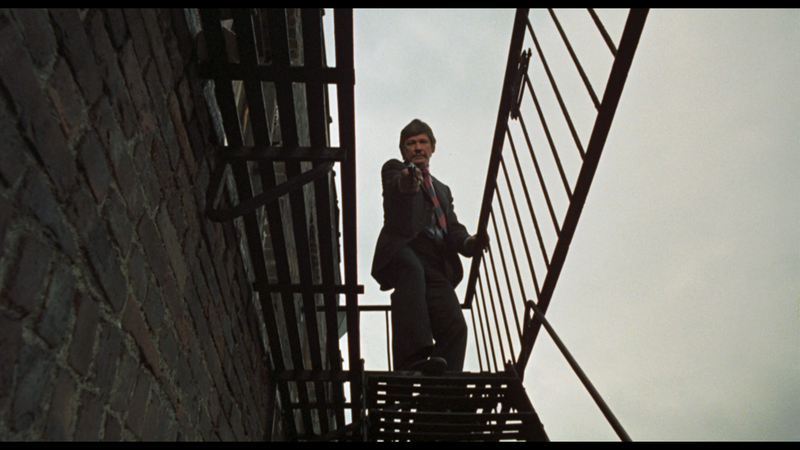 Bronson re-teams with director Michael Winner, following The Mechanic and Chatlo’s Way, for this mafia crime drama that is slowly paced, especially during the second act, but finds its way home with a fantastic finale. This release comes with an 8-page booklet. The features are on the limited side with only an Audio Commentary with Charles Bronson biographer Paul Talbot and the Theatrical Trailer (2:35; HD). 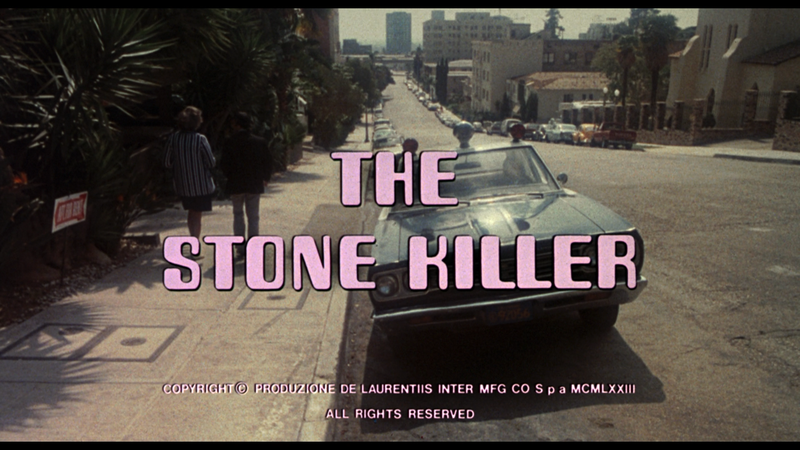 The Stone Killer arrives on Blu-ray through Twilight Time and is presented in its original 1.85 widescreen aspect ratio and a 1080p high-definition transfer (MPEG-4 AVC codec). The picture quality isn’t bad, actually given it’s doubtful any major restoration was done and this is a 40+ year old film. Even so, detail looked sharp, colors appeared to be natural looking and outside of a few specs (nothing distracting), it’s just a nice looking HD picture. The disc comes with a basic DTS-HD Master Audio Mono track which is perfectly serviceable. Dialogue levels sounded crisp and clean and a moderate amount of depth is showcased with some shootouts (especially at the end) as well as the score conducted by Roy Budd. Overall, although The Stone Killer is probably the lesser of Charles Bronson’s films, it’s still is a lot of fun and being obscure enough, doubtful very many have seen it, so with this Twilight Time release, hopefully it’ll get more play in the future. The Blu-ray itself offers good video and audio transfers while features were limited, highlighted by a professorial commentary track.